Great for home, school or Church! Now available! 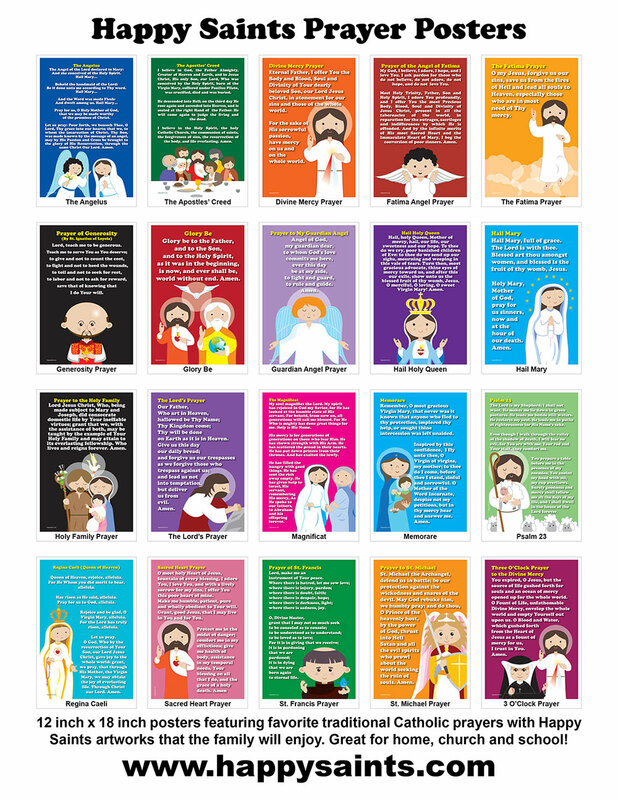 12 inch x 18 inch posters featuring favorite traditional Catholic prayers with Happy Saints artworks. Prayers include 'The Lord’s Prayer', 'Hail Mary', 'Divine Mercy Prayer', 'St. Michael’s Prayer' and many more! Popes St. John Paul II and John XXIII Souvenirs!